Once upon a time, every child in the UK had an anorak like this. 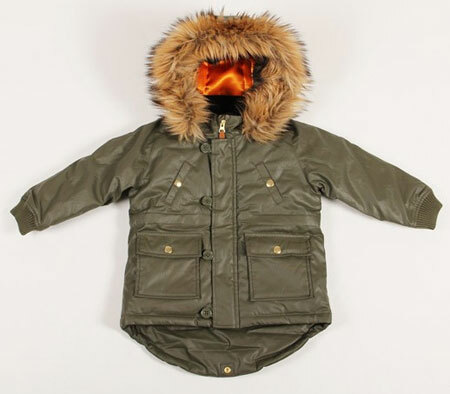 In 2012, you have to dig deep to find something like the Mini Rodini Parka. Ideal for girls or boys and available in sizes 12 – 18 months through to six to seven years, this is a cross between the retro anorak and the equally old school parka, with a 100 per cent cotton shell, a bright orange polyester lining, fishtail hem, plenty of pockets for those outdoor essentials and the Mini Rodini logo. There’s also a fur hood. But don’t worry, it’s not real fur. Available online, it sells for £90.